Asana is the limb that we are most familiar with in our modern day practice. Ever notice in class that when the teacher calls out the pose you are doing in sanskrit and it ends with “asana?” For example, Mountain Pose, Tadasana (good to note here that some schools drop the last ‘a’ so it would be Tadasan). Asana means pose, or sometimes seat. We refer to asana as the postures; the physical practice where we are learning to control and still the body. 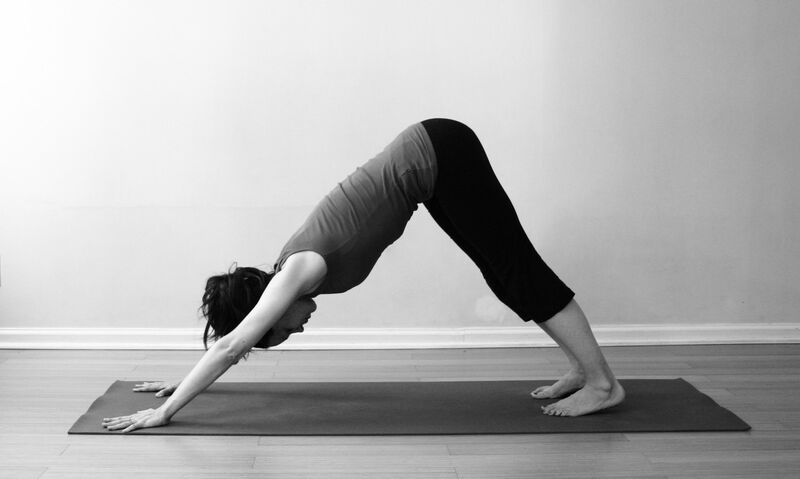 At Mala, we often say that asana is the the “on ramp” to the practice. We highlight the benefits of a consistent physical practice as a way to balance bodily systems, such as the muscular system, endocrine system, nervous and immune system, while at the same time developing a deeper consciousness of breath and energy, and a strengthening of the concentration and focus of the mind. The yogis discovered many years ago that the body has a direct line to our mind and back again to the body. Ever notice when you are happy and excited how you stand a little taller, chest open arms relaxed or when you are sad or over tired how the body curls in, shoulders and back hunched, chest closed off? Now imagine if the mind can have that effect on the body, the body can have that effect on the mind. Next time you are feeling sluggish or tired, try standing in Mountain Pose, Tadasana, for two minutes (the pose in the photo at the top of this post). 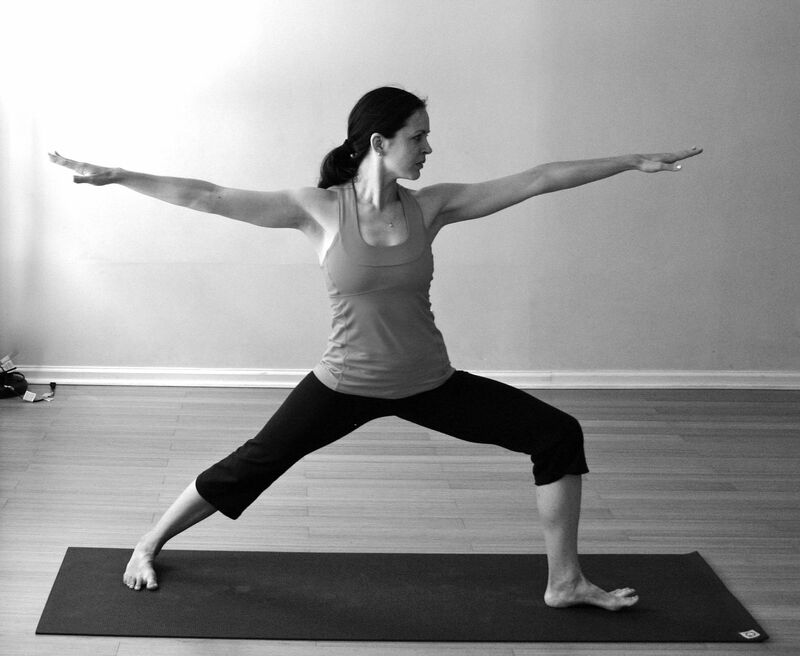 Or try a Warrior II Pose, Virabhadrasana II, for a two minute hold on each side. Heck, throw in a Downward Facing Dog, Adho Mukka Svanasana, for 3-5 minutes and see if you feel a little more energized after some strengthening, stretching, and detailed focus on the breath, as well as concentration of how you’re placing the body in space. Want more asana? Check out our videos here! This entry was posted in MORE WITH: ANGELA, YOGA STUDIES and tagged Adho Mukha Svanasana, angela clark, down dog, downward facing dog, tadasana, Virabhadrasana 2, warrior 2, yoga studies. Bookmark the permalink.